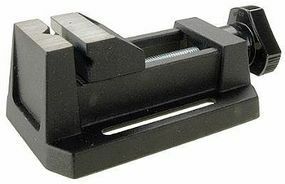 Shop online for 40 model vise at discounts up to 29%. Zona Tool Co. is ranked #1 out of 14 model vise manufacturers, followed by Excel Hobby Blades, and Squadron/Signal. 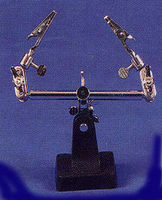 This is a Double Ended Pin Vise from Zona Tool Co. 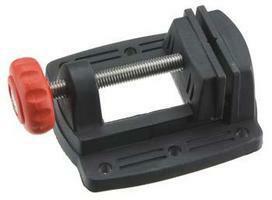 This is the Mini Plastic Vise from Zona. This is a Mini Vise from Zona Tool Co. This is the Hull Planking Vise from Latina. Suitable for Ages 14 & Up. This is a Fine Pin Vise D from Tamiya. This is a Model Master Pin Vise with Six Drill Bits from Testors. 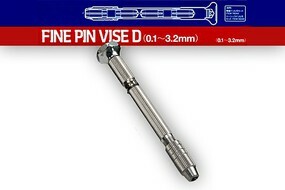 This is the Tamiya Fine Pin Vise (D-R 0.1-3.2mm). This is a Wood Handle Tool Holder with Two Collets from Zona Tool Co. This is the Adjustable Hand Vise from Squadron Tools. This is the Excel Quick Set Drill Press Vise.:. This is a Squadron Tools 3-1/2" long Double Sided Pin Vise. This is a Swivel Head Pin Vise from Zona Tool Co. 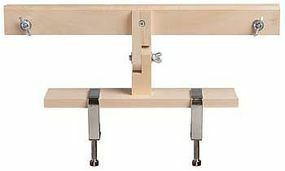 This is the 360° Rotating Head Table Vise from Excel.:. This is the Dremel Multi-Vise. 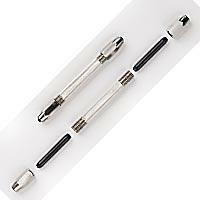 Attaches to any workbench or table up to 2-1/2" (63mm) thick. This is a Fine Pin Vise S from Tamiya.